A massive D-10 was seen rolling into Fairbanks this summer atop an Alaska West Express lowboy. 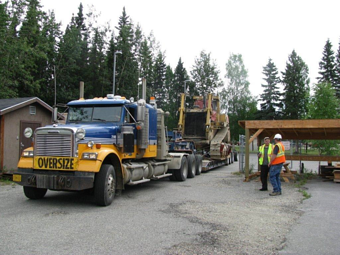 The Fort Knox Mine donated the 115,000-pound bulldozer to the University of Alaska for use in its diesel technician program, but the machine needed a lift from the mine to the university's diesel shop. 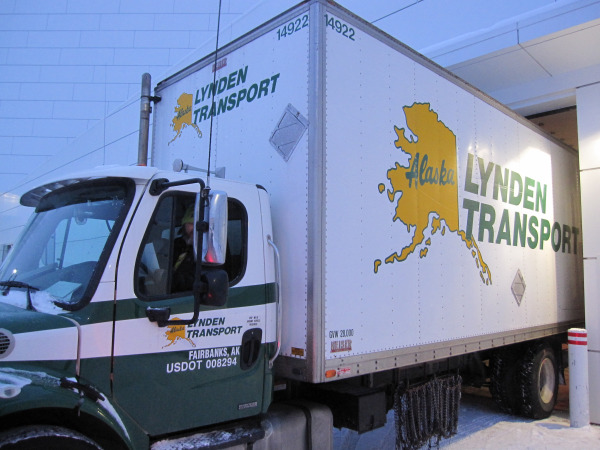 Oversized loads are business as usual for Alaska West Express, so the company stepped in to help. "Fort Knox has been hiring most employees from out of the state due to their experience with mining machinery," explains Brian Rencher, program director at the University of Alaska Fairbanks. "They approached us about donating a large piece of equipment to the university to familiarize our students with it and better prepare them for mining jobs here in the Fairbanks area. The good folks at Alaska West Express donated the transportation and the crew did an excellent job. The pilot cars and truck driver Brian Maiorano were organized and planned traffic perfectly to get the truck and trailer into our parking area with the large machine." The dozer was first delivered to the Carlson Center in Fairbanks for a Chamber of Commerce display and was then transported to the university's deisel shop. "We fully support the university and its programs and are glad to help whenever we can," said Scott Hicks, Alaska West Express president. 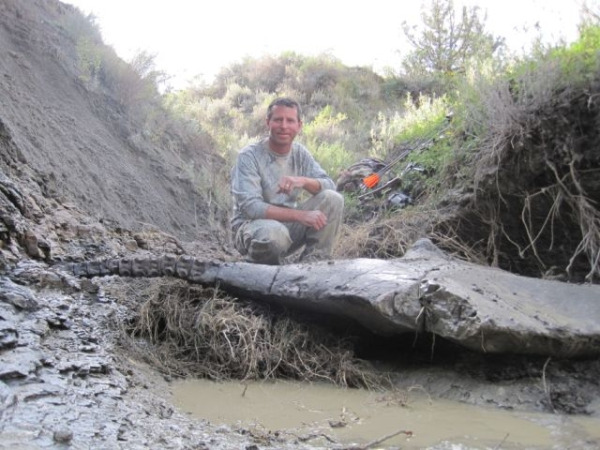 “Shipping a dinosaur fossil halfway across Alaska is not something you do every day,” writes Patrick Druckenmiller, Curator of Earth Science at the Museum of the North at the University of Alaska. 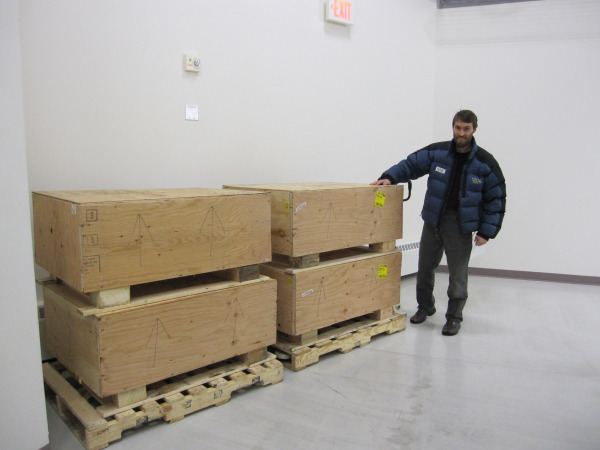 In late December 2011, Lynden Transport was in charge of making sure four crates of plesiosaur bones made it to the University of Alaska safe and sound. 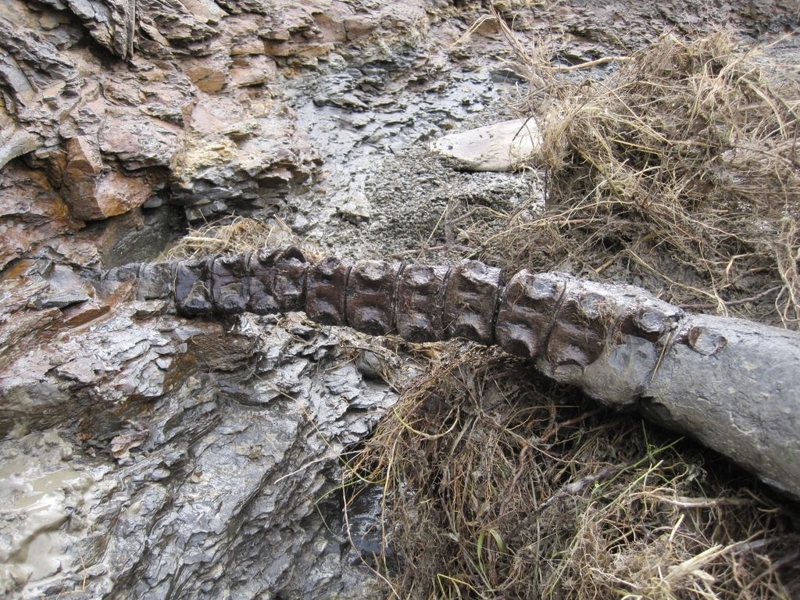 Plesiosaurs are extinct, marine reptiles similar to the mythical Loch Ness Monster.